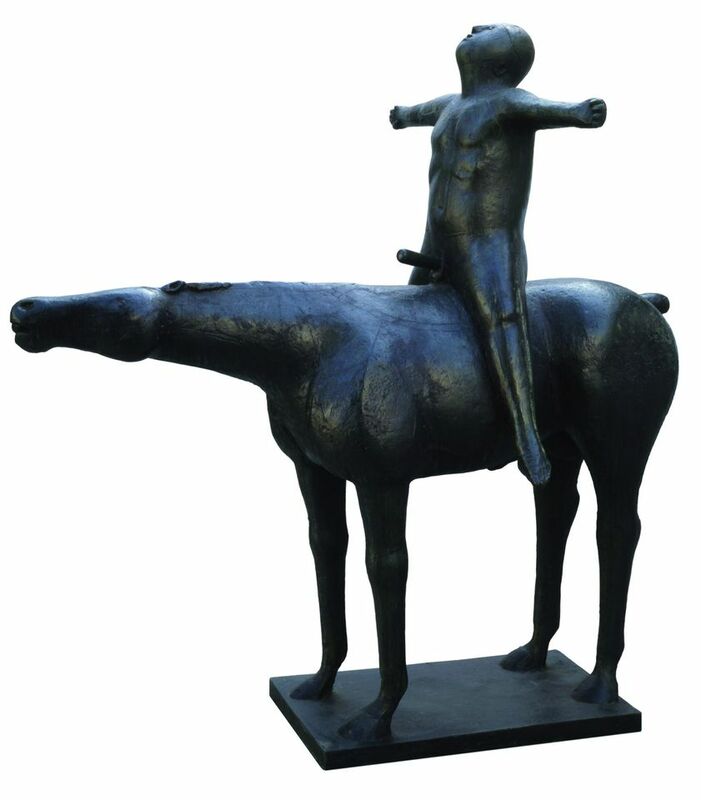 Marino Marini’s bronze sculpture of a horse and rider, The Angel of the City (1948), on the terrace of the Peggy Guggenheim Collection, is hard to miss. When the US collector moved into Palazzo Venier dei Leoni, she installed the work at the waterside entrance, in full view of the traffic on the Grand Canal. The erect phallus of the figure risked offending passing nuns or “stuffy visitors”, she wrote in her memoirs, so she would occasionally remove it. Guggenheim’s adviser, the British art critic Herbert Read, called the statue a challenge to the Prefecture of Venice on the opposite bank. As challenging as his art was, Marini (1901-80) drew deeply on tradition. An exhibition of work by the Italian artist at the Peggy Guggenheim Collection illustrates the relationship between more than 70 of his figurative sculptures and the ancient Egyptian, archaic Greek, Etruscan, Medieval, Renaissance and 19th-century styles he drew on. “In the exhibitions and literature on Marini to date, we are still lacking a serious attempt to put his sculptural research into historical and stylistic context,” says Maria Teresa Tosi, the director of the Fondazione Marino Marini. The foundation is in Pistoia, the artist’s hometown in Tuscany, where the exhibition now coming to the Guggenheim was previously held. The show is sponsored by the coffee brand Lavazza.